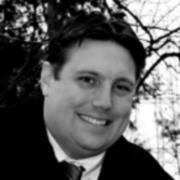 Peter Bromberg is the Associate Director at the Princeton Public Library in Princeton, NJ. He was dubbed “The Transformer” by Library Journal when they named him as a 2008 Mover and Shaker. He has been involved with Leadership initiatives on state and national levels, including co-facilitating ALA’s Emerging Leaders program. By his own description, he is just a simple librarian trying to make it in this crazy world. Mr. Teeri began working at the Detroit Public Library in 1998. His duties currently include working on various technology projects and instructing DPL staff and patrons on the use of library technology. 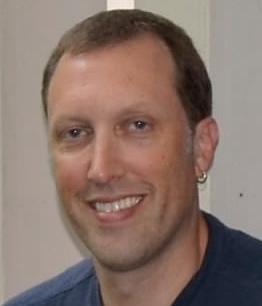 He participated in the planning and construction of the DPL HYPE Teen Center in 2007-2008. Mr. Teeri has been an exhibitor at Maker Faire Detroit since 2010, along with library teens as fellow exhibitors. In 2012 he was a founder of the DPL HYPE Makerspace, a place for teens 13-18 to learn, create and take control of the world around them. Rebecca Lubin has only worked in public libraries for twelve years, but she has been involved in community outreach since she was five. As a young girl, she watched her mother launch a neighborhood newspaper and her father start a civic association in their hometown of Hartford, Connecticut. Later in life Rebecca took her love of community involvement and went on to earn degrees in urban planning from Vassar College and Cornell University. After a career in community planning she realized that she wanted to be a librarian when she “grew up” and pursued her MSLIS at Syracuse University. 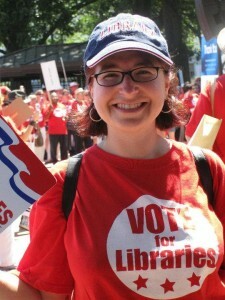 She is currently the Branch Librarian at the Albany Public Library Delaware Branch in Albany, NY. Wick Thomas has been recognized for social justice activism in Kansas City as well as nationally, receiving the Creating Change award from the National Gay and Lesbian Taskforce for work organizing around LGBTQ issues in rural Missouri and Kansas. Wick has a passion for working with youth and is lucky enough to do so on staff for the Kansas City, MO Public Library and formerly at the World Headquarters of People to People International. 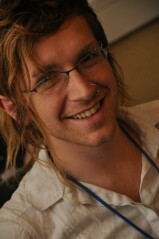 Wick is also President of Empowering Queer Activists and Leaders (EQUAL), which provides activist and leadership training for queer and allied youth. Wick has been named best activist in Kansas City twice by the Pitch Weekly and is totally a riot grrrl at heart.